Lessons I’ve Learnt When It Comes To Blogging & Creating Content. 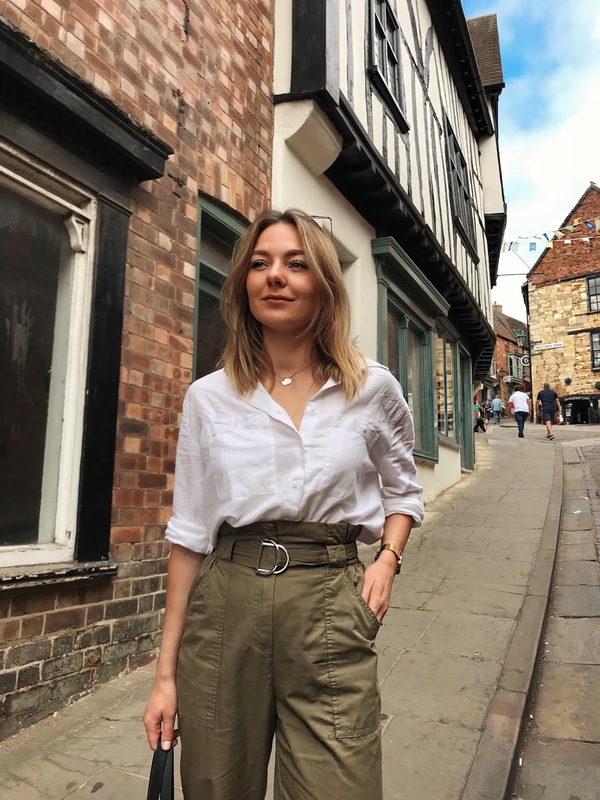 Firstly, I’m definitely not claiming to be the most amazing blogger by writing this post, more, I’ve been doing this a fair few years now so I feel like I’m kind of in the swing of things. I’ve picked up quite a few tips along the way and made my fair share of mistakes and now I know what works best for me when it comes to creating content. One thing I always try to remember when it comes to creating content – blog about the things you want to read. It does matter to a certain extent, but there’s no point in churning out blog posts just because you think they will be popular. My content used to be 100% beauty based, I still love beauty but now I love style and discussing lifestyle topics too. I started to make a transition last year by breaking up the beauty posts with some different styles. Don’t fear change, if you want to switch up your content then make a start, don’t hang about when it comes to making a change – the longer you create content you’re not interested in, the most you will fall out of love with it. Use social media to your advantage, but don’t be spammy. I’m 100% guilty of being spammy on Twitter in the early days, I would post about my new blog post 5 times a day after posting it and it just gets a bit ridiculous. Attract people to your blog by posting more on social media about other things. I have been a social media manager, and when it comes to managing a brands social media and driving traffic to their site, it’s actually less about constant direct promotion and more about creating engaging content that gets an audience interested. Connect with your readers and other bloggers. There’s nothing worse than constantly engaging with someone and getting nothing back. I know for bigger content creators it’s hard to keep up with replying to comments, but doing that as much as possible is going to keep people engaged. In terms of reading other blogs, I remember when blogging first started and most of my readers were people who had found my blog simply by seeing I had commented on someone else’s post. This definitely doesn’t happen as much, but replying to tweets, commenting on other peoples instagrams/ sharing your favourites on instagram story is probably one of the nicest way to reach new people and help out other bloggers at the same time. Share a bit more about you. Everyone is at least a little bit nosey, I’m always interested in finding out more about the person behind the blog. It baffles me how many people don’t even share a photo of themselves, how does someone make a connection with a blogger if they don’t even know what they look like? I always think it’s nice to share a little so people can get an idea of who you are. Always remember your integrity. It’s a mistake I’ve made in the past and I have wrote about this a little more when I explained why blogging isn’t my full time job. It’s so tempting to make a bit of money from an ad, but as soon as you promote something that doesn’t sit right that’s all of the hard work out of the window in my eyes – how are people supposed to trust your opinion on the things you actually like if you’re sharing ads that don’t match your organic content? That’s my opinion anyway, if you work hard and stay true to yourself I think the brand deals and sponsorships you really want will come your way a lot quicker. Lastly, look at your google analytics. I find acquisition and how people are actually finding my blog so interesting, I’ve learnt that organic traffic is still huge and that I need to put more time into Pinterest (which I’m yet to do, but still). It’s a good way of seeing your most popular posts and learning more about your audience. Google Analytics is also the best place to information for your media pack as it’s more reliable that just trusting the blog hosting platform you use.